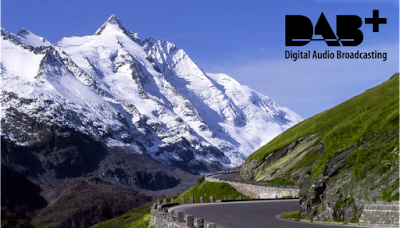 The hills will be alive with sound of DAB digital radio in Austria, after the country's regulator announced it was starting the tendering process for its first national multiplex. Following tests in previous years, it has been decided that there is demand for long-term DAB services in the country. KommAustria has published a selection criteria that will inform potential multiplex operators of various requirements for the new multiplex, including the use of the DAB+ standard and coverage reaching 75% of the population within three years of the multiplex launching. But the main public service broadcaster (ORF) and main commercial radio station (Kronehit) both say they won't be supporting DAB. Since ORF was told it can't use DAB to launch additional stations, it has withdrawn its support. Meanwhile, Kronehit appears to be worried about the commercial threat posed by more competitors in the marketplace if DAB gains in popularity. Its boss Ernst Swoboda previously said that digital radio reception was a "frontal attack on FM", which was "initiated by the electrical sector". Nevertheless, it appears there is sufficient interest from other radio stations, with around 15 stations expected to take up slots on the DAB multiplex. The new multiplex is expected to go live in 2018. Austria's experience with DAB contrasts with neighbouring Switzerland and South Tyrol (Italy) who are both moving towards turning off FM in favour of DAB transmissions.